Anthony Pettis is back in the winning column. The former UFC lightweight champion avoided going 0-4 in his most recent stint by submitting jiu-jitsu black belt Charles Oliveira in the co-main event of Saturday’s UFC on FOX 21. This impressive victory over Oliveira comes at a new weight class – the featherweight division. Having defeated the No. 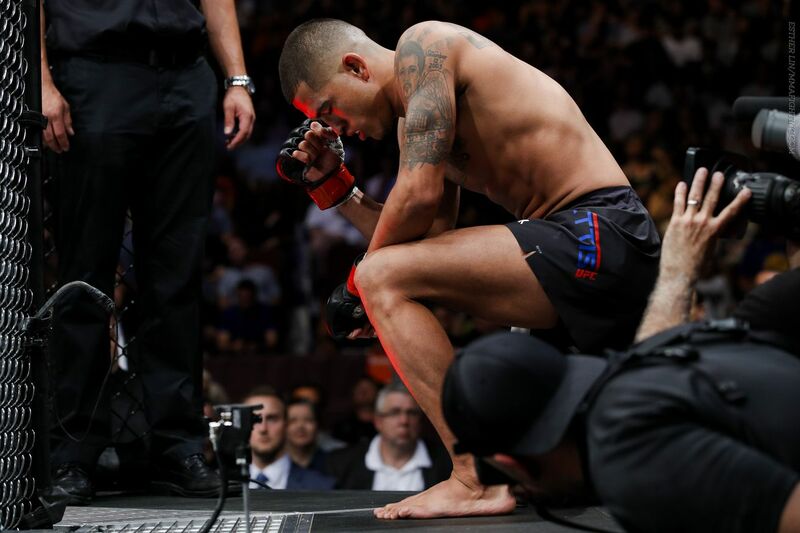 6-ranked featherweight, Pettis is unsure where he will go next, as his whole focus leading up to his fight was about making the weight and fighting his opponent Oliveira, not on his future at featherweight. With a victory under his belt over a top-ranked opponent, Pettis reflected back on the three-fight losing streak that had many fans wondering if he was done, and said he had to soul search and figure out what drove him to fight in the first place.